Dr Hajirasouliha obtained his PhD in 2006 from Sharif University of Technology in Iran, which is one of the leading technological universities in the Middle East. 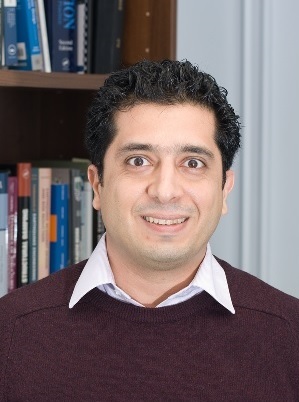 His research led to the development of an advanced theory for optimum performance-based design of structures that was awarded the “Tavakoli Prize” for conducting original research at Sharif University of Technology and “Distinguished Young Researcher Award” by the Iranian Earthquake Engineering Association. After being a lecturer in Civil Engineering Department at University of Science and Culture for two years, he was awarded a Marie Curie Research Fellowship at the University of Sheffield on the use of internal FRP reinforcement in new RC structures. In 2009, Dr Hajirasouliha received a prestigious Marie Curie individual fellowship (IIF) at The University of Sheffield on optimum strengthening of deficient RC buildings using FRP composites. From 2010 to 2012, he was a Lecturer in Structural Engineering at the University of Nottingham, where he was convener of “Advanced Concrete Structures” and “Earthquake Engineering and Structural Dynamics” modules. In 2012, Dr Hajirasouliha was appointed Lecturer in Structural Engineering in the Department of Civil and Structural Engineering at The University of Sheffield. He has been principal or co-investigator of several EU and nationally funded projects. Dr Hajirasouliha has extensive research experience in Earthquake Engineering, Structural Dynamics, Performance-Based Design, Optimisation, Structural Strengthening, Cold-formed Steel Structures, and Soil-Structure Interaction. He is currently the leader of the Earthquake Engineering Group (EEG) at The University of Sheffield.